It is both thrilled and grateful to be informed that one of my picture was awarded by the World Elite Photographers (世界精英攝影師協會). I would like to share this happiness with my family, my mentors, my photographer friends and each one of you who keep supporting me over the past few years - to all of you helping me to reach this stage, I thank you from the bottom of my heart. 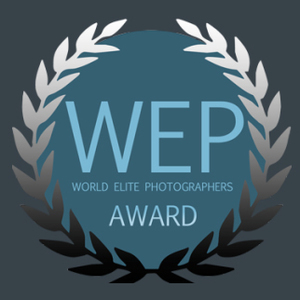 It was thrilled to receive the certificate from the World Elite Photographers (WEP) headquarter, which also signifies my membership status is now promoted to "Distinguished Photographer". Would like to thank all of you who have supported my during this journey, I will strive to work harder in the future to see if I can have more spaces for progression. Good news from another online competition, I have a photo awarded by PWST, thanks again for your support as always! Good news from another online competition, I have a photo awarded by AWP (Awards Wedding Photography), thanks again for your support as always! Membership Status Promoted to "Associate of WPPI"
It was thrilled to receive the membership necklace from the New York WPPI headquarter, which also signifies my membership status is now promoted to "Associate of WPPI". 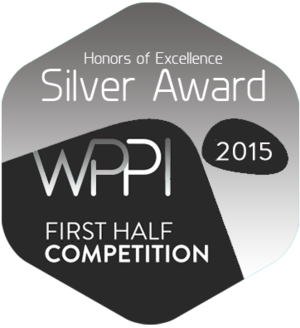 I am thrilled to be informed that one of my work was awarded in WPPI First Half Competition, I am feeling encouraged and will try my best to prepare for the upcoming second half competition, thanks again for your continued support! Thanks all my clients who supported me and let me to take the beautiful photo for you. In addition, I have just been officially informed that my membership level was promoted to Associate Membership in WPPI, gotta work harder from now on!